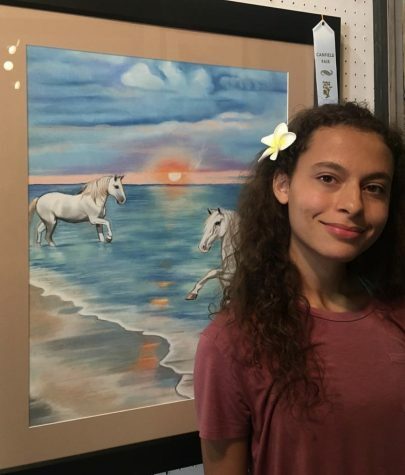 Emily Dunlap is a 18 years old senior at Canfield High School; and if she was not able to sleep, she would spend her extra time painting and doing ballet. While she also loves to do art, she prefers oil painting. Emily also enjoys to spend her extra time playing the piano, reading, and doing archery. Even though she does not compete or take her archery skills further than the local bike trail range, she still finds it to be a “very fun” way to spend her time in the warmer months. Her siblings, Andrew and Natalie, both go to Youngstown State University and are in their freshman and junior years, respectively. If you are every wondering where Emily Dunlap is around Canfield or in CHS, it may be helpful to check the art room or the bike trail to find this artistic and inspiring student!